Seabourn, the world’s finest ultra-luxury cruise line, recently introduced its newest vessel to the world with a festive naming ceremony for Seabourn Ovation in the beautiful baroque harbor of Valletta, Malta. Seabourn orchestrated a line-up of celebratory events, including a live performance by the ship’s godmother, actress and singer Elaine Paige OBE, one of the world's best-loved and most highly awarded artists. Following her performance, she made a traditional blessing and released a bottle of champagne that was broken against the ship, a time-honored ship naming tradition. A full orchestra ensemble on the Pool Deck performed the themed musical work and provided additional entertainment during the evening ceremony. Guests also witnessed the debut of the new Seabourn anthem written by Sir Tim Rice, titled: “We Sail to See the Lives of Others”, which was performed publicly for the first time.The evening capped with a brilliant fireworks display that lit up the harbor of Valletta. 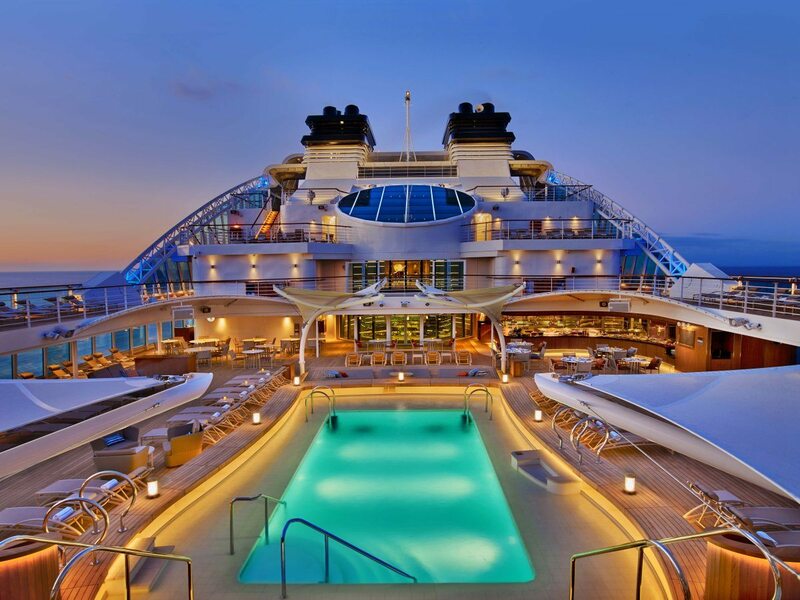 Seabourn Ovation is the fifth ultra-luxury vessel to join the Seabourn fleet over the past decade, and the second of two ships designed for the line by hospitality design icon Adam D. Tihany. Like Seabourn Encore before it, the ship features all oceanfront suites with private verandas, along with modern design elements and innovations in keeping with Seabourn’s reputation for understated elegance, as well as one additional deck, newly expanded public areas and a brand-new, al fresco dining venue, “Earth & Ocean at The Patio™”. The ship departed on its maiden voyage May 5, the 11-day Inaugural Mediterranean Spring cruise, bound for Barcelona, Spain. Afterwards, the ship will then move onto a 14-day Vintage Europe headed for Ijmuiden (Amsterdam), Netherlands, and a 14-day Midsummer Baltic, arriving in Copenhagen, Denmark in late June, before heading to Russia as part of a 7-day The Baltic & St. Petersburg cruise. Seabourn Ovation will then explore Northern Europe, beginning with a 21-Day St. Petersburg & Scandinavian Gems cruise around the coast of Norway. The ship will retrace itself again with a 7-day St. Petersburg & The Baltic and then turn north and west with a series of cruises including a 14-day Majestic Fjords & North Cape; a 21-day Capitals of Northern Europe from Scandinavia to the British Isles; a 14-day Norway, The British Isles & Edinburgh; a 21-day Northern Europe Panorama; and then a 7-day The Baltic & St. Petersburg. The ship will round out the summer with a 21-day Baltic Gems & Majestic Fjords; a 14-day Scenic Fjords & North Cape; and, finally, a 30-day Viking Realm Exploration, arriving in Dover (London) on October 1 for the start of its autumn season. Guests who sail on Seabourn Ovation will also find a number of innovative offerings and programs, including partnerships with a select group of companies and individuals whose dedication to superior quality, exceptional service and consistent customer satisfaction matches Seabourn. These programs include ‘An Evening with Tim Rice’, the evening entertainment experience created exclusively for the line in association with Belinda King Creative Productions; Spa and Wellness with Dr. Andrew Weil, offering guests a holistic spa and wellness experience that integrates physical, social, environmental and spiritual well-being; and The Grill by Thomas Keller, reminiscent of the classic American restaurant from the 50’s and 60’s. 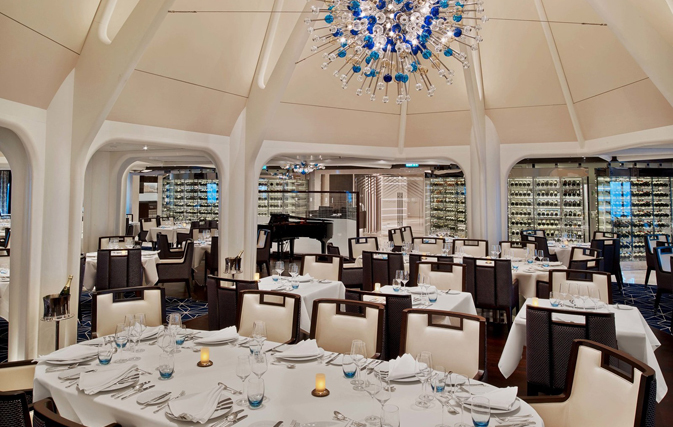 Exclusive to Seabourn, The Grill is a unique culinary concept for Chef Keller, focusing on updated versions of iconic dishes. Guests will be treated to table-side preparations of Caesar salad and ice cream sundaes, as well as a range of other favorites like premium steaks, whole roasted chicken, and Lobster Thermidor, presented à la carte.